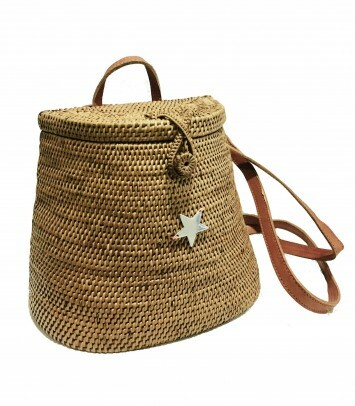 Rattan bag (natural fiber is very resistant) Handmade in Bali Measures: 22cm x 25cm All our products are of the highest quality. 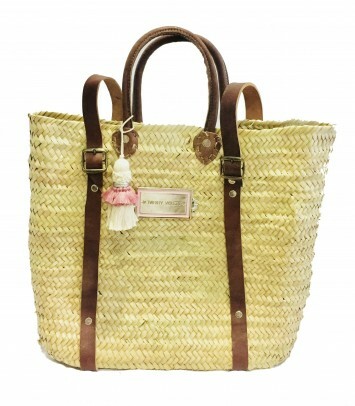 The manufacturing process of this bag involves smoking the rattan in a traditional oven over coconut hasks to add strength, so you can notice a slight smoky smell. 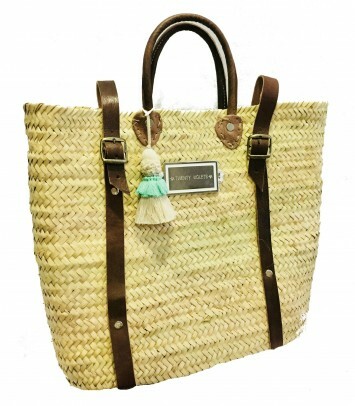 Nomade model Open with double handles- leather-wrapped (small) Measures: 50cm x 40cm Beads: Cotton tassel All our products are handmade one by one and are of the highest quality.